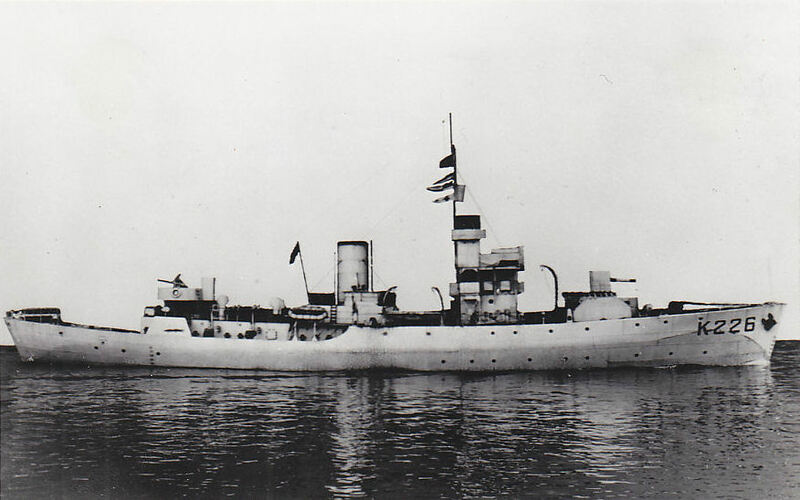 2 - WM. BYERS or BYERS & CO.
3 - JOHN CANDLISH, J. & R. CANDLISH ETC. 4 - J. CROWN & SONS, STRAND SLIPWAY, ETC. 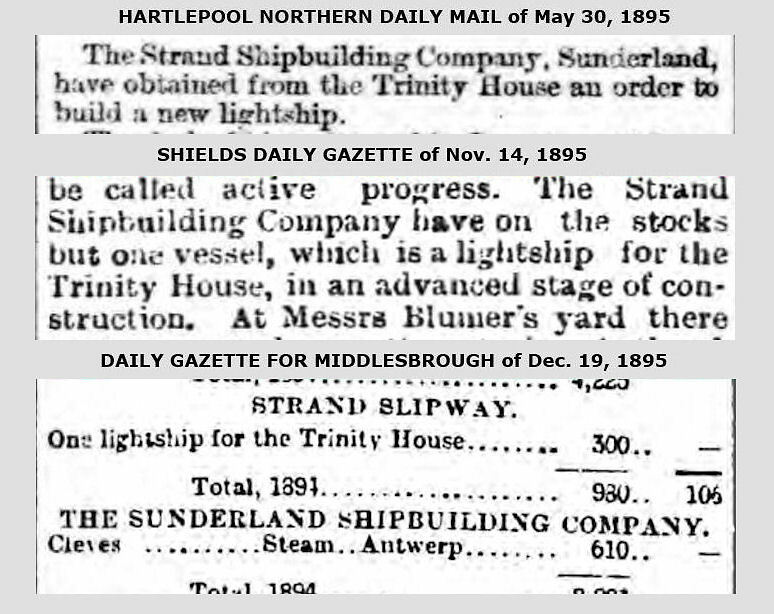 The 'Blumer', 'Byers' & 'Crown' shipyard listings can respectively be found here, here & here. The build lists on this page are far from complete. 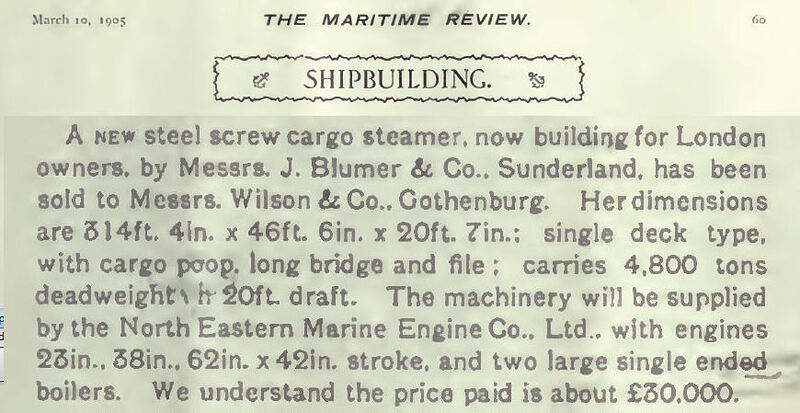 Many later vessels need to be added re 'Blumer' & 'J. Crown & Sons' & the same is surely true re 'Byers'. 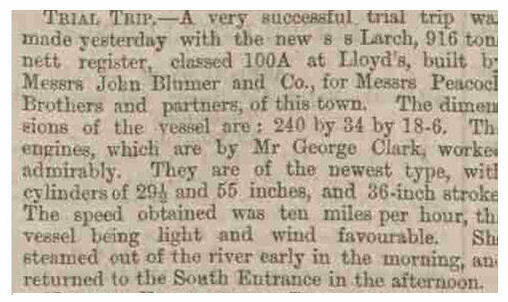 Have read also BLUMER & ROBSON respecting sailing vessels built in 1869 - in a 'pdf' available here, 'Log Chips' published in Aug. 1980 by the National Maritime Historical Society of Brooklyn, New York. 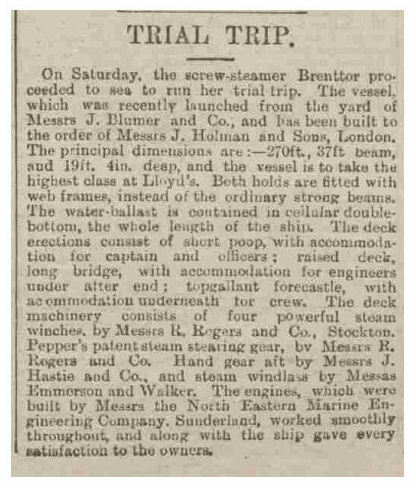 The list which follows is a list of 'Blumer' built ships - commencing in 1859. Probably incomplete & to be added to as new data is located. 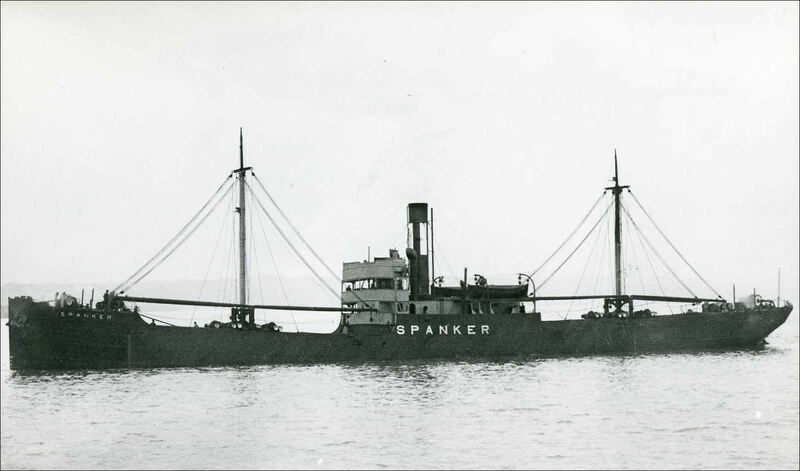 Robert H. Gayner & Co.
Based initially on data from Michael Orpin of Jersey, but amended. 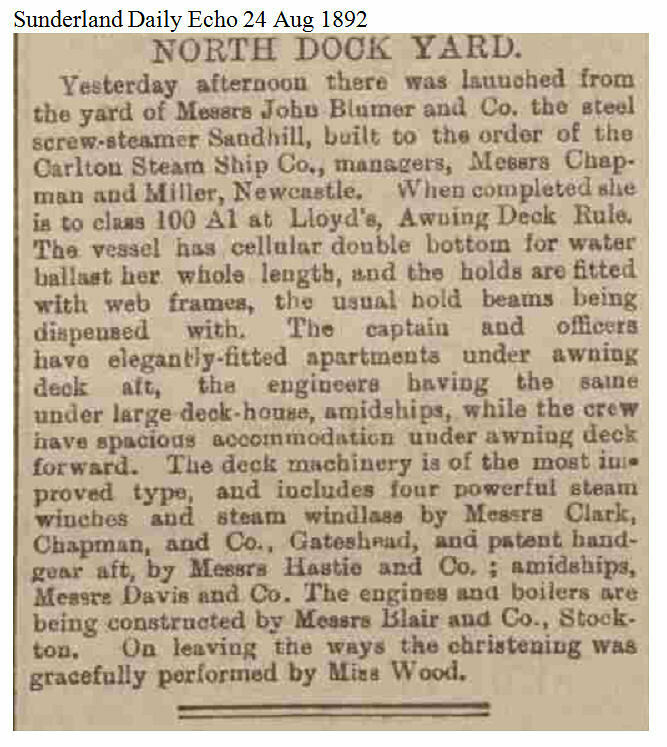 Note - a new hull numbering series was commenced when the move was made to North Dock. Commencing at No. 1 again. Per Ray Ranns, who also provided much of the detail listed below. F. W. Ritson, later (1870 & 1880) Francis Ritson, later (1890) William Yeoman of Stratford, Essex. 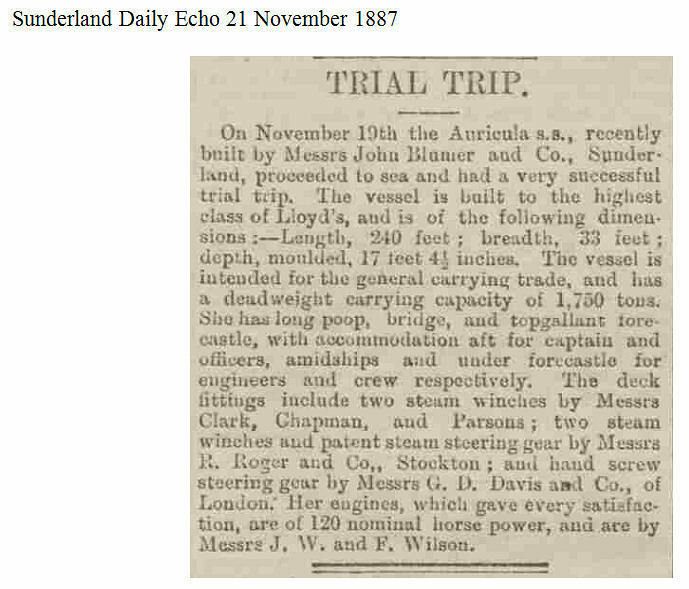 Vessel burned on Sep. 25, 1889 & run aground. 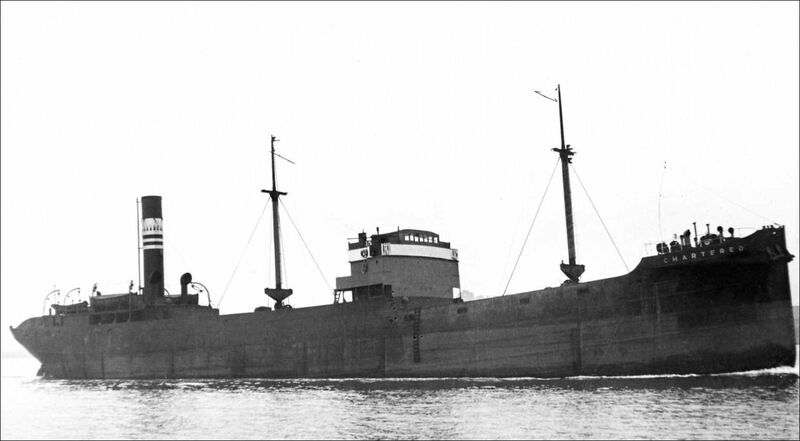 Jackson & Co. or Jackson, Beaumont & Co.
J. H. W. Culliford & Co.
Commercial Steam Shipping Co. Ltd.
J. D. Hill & Co.
J. 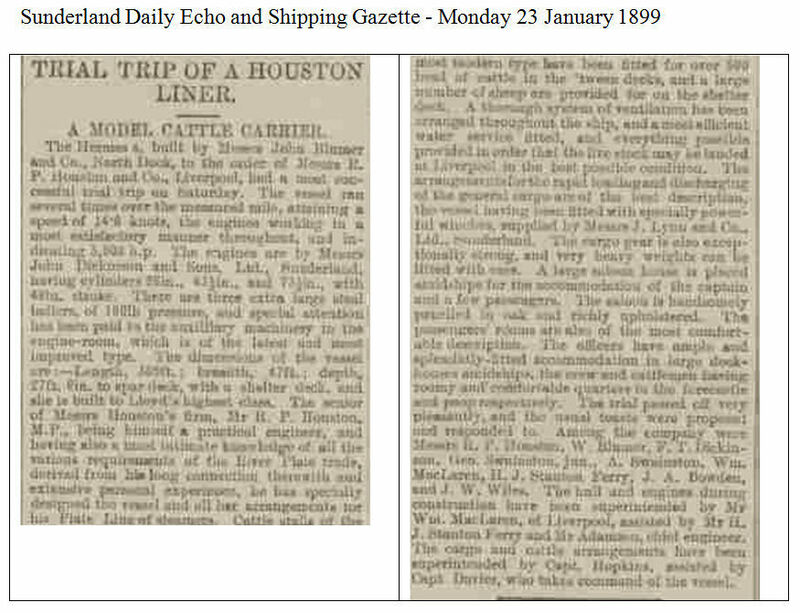 Young, Ehlers & Co.
R. M. Sloman & Co.
S.S. Clare Limited, C. W. Pollexfen & Co. the managers? S.S. G. W. Jones Co. Ltd., C. H. Jones & Co. the managers? 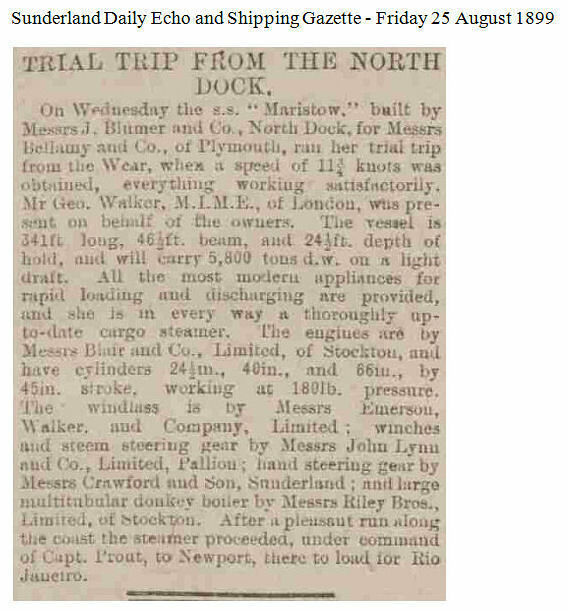 Earl of Chester Steamship Co., Martin & Marquand the managers? 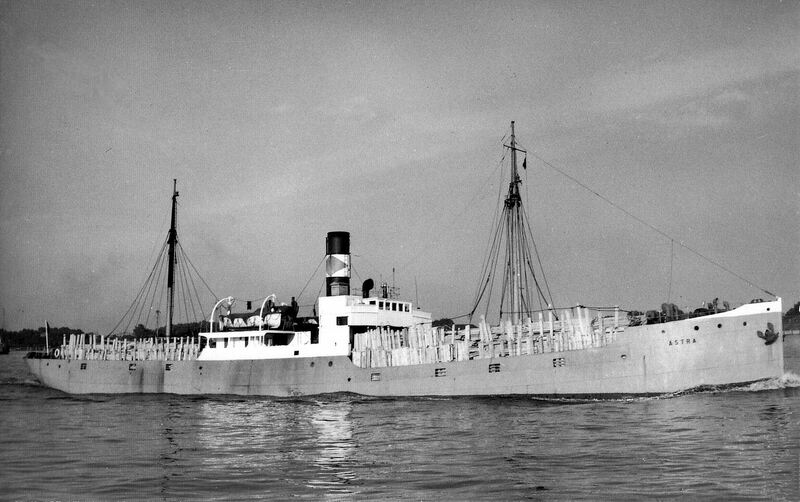 Robinson Brothers Steamship Company Ltd. 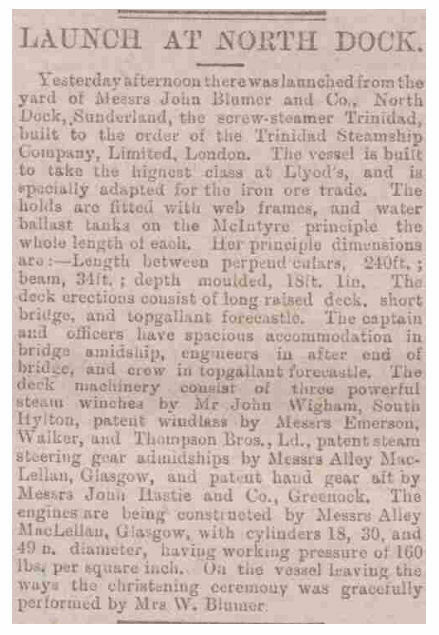 Single Ship Trafalgar Co. Ltd.? 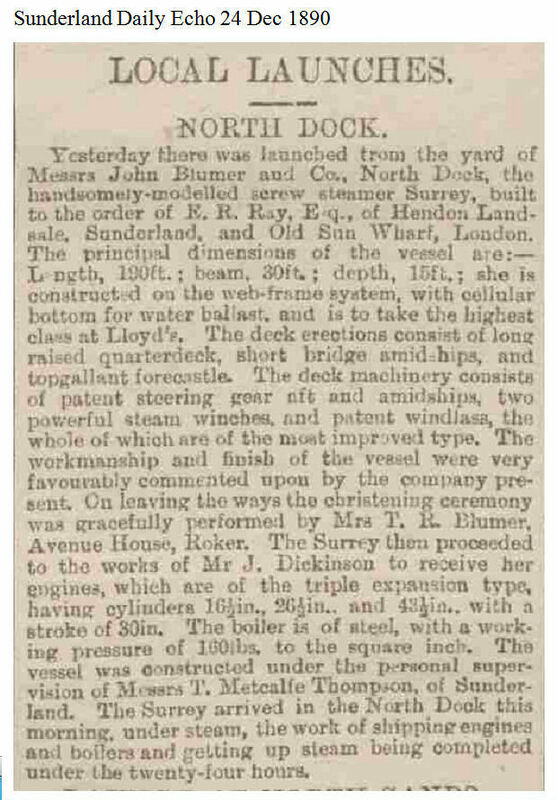 South Shields Steam Shipping Co. Ltd.
Admiral Nelson Steamship Co. Ltd.
British & South American Steam Navigation Co. Ltd.
William Penn Steamship Co. Ltd.
Whitby Steam Shipping Co. Ltd. The Buenos Ayres Great Southern Railway Company, Limited. 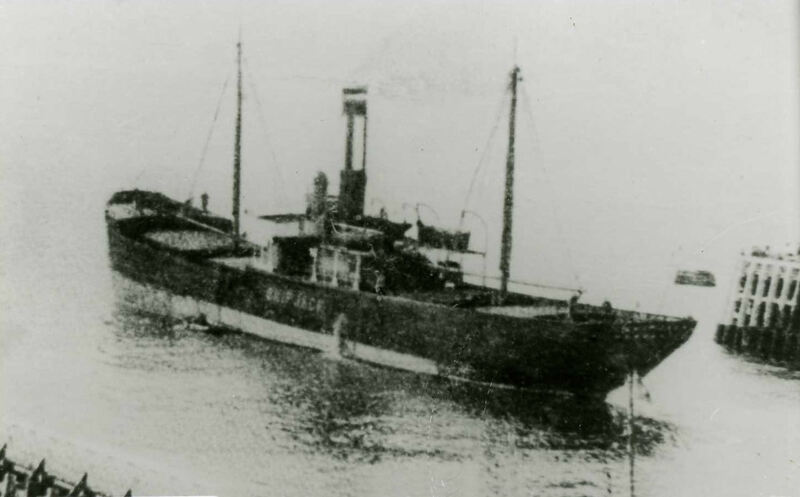 Clydebank Steam Shipping Co. Ltd.
Weardale Steam Shipping Company Ltd.
Robinson Bros. Steamship Co. Ltd.
Charlton & Thompson Steam Shipping Co. Ltd.
J. D. & A. D. Negropontes & Saliaris Bros.
Constantine & Pickering Steamship Co. Ltd.
Scholefield Steam Shipping Co. Ltd. 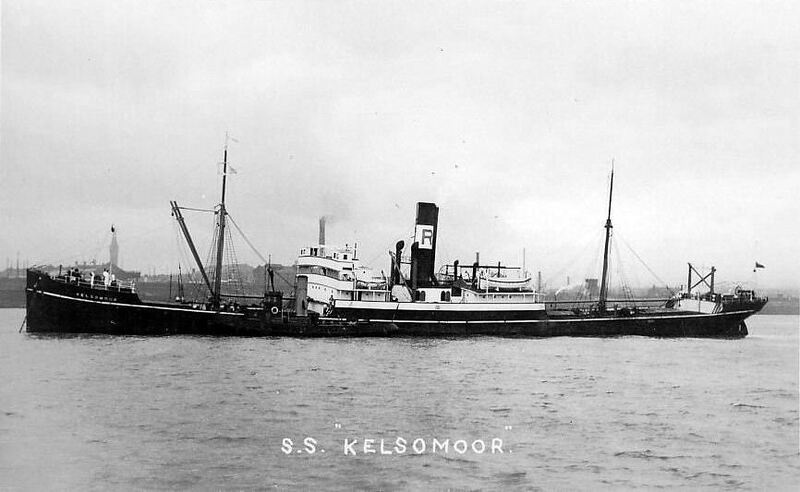 The Brook Steamship Co. Ltd.
M. & R. Steamship Co. Ltd.
Union Steam Ship Company of New Zealand Ltd.
Dalgliesh Steam Shipping Company, Ltd. 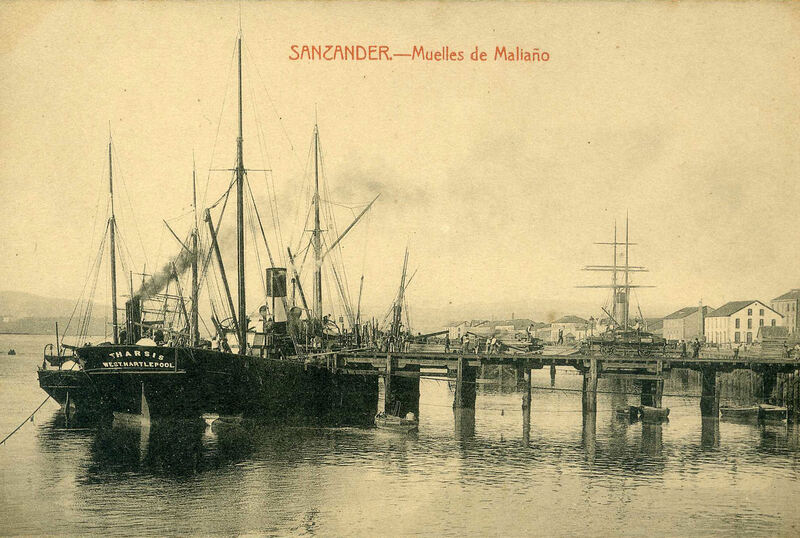 VESSELS BUILT BY WM. 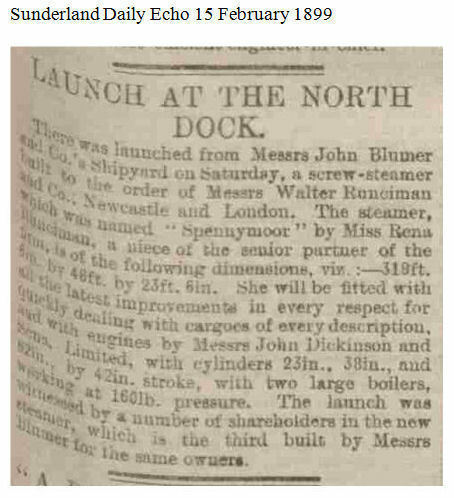 BYERS or BYERS & CO.
Now 'Byers' is not the most prominent of shipbuilders in the history of Sunderland. 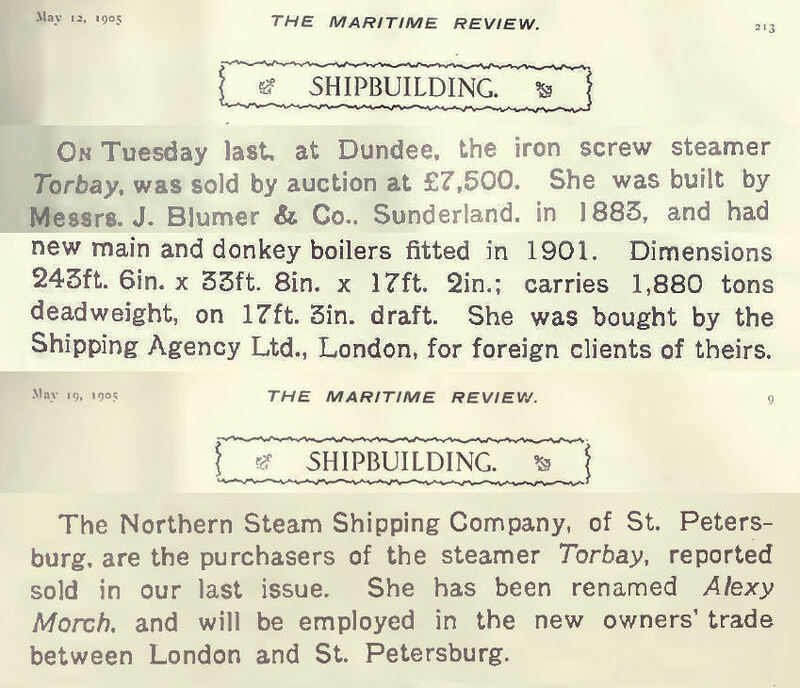 And build lists are yet to be created & put on site for a great many of the more well known shipbuilders. So why is it that 'Byers' rates a build list today? 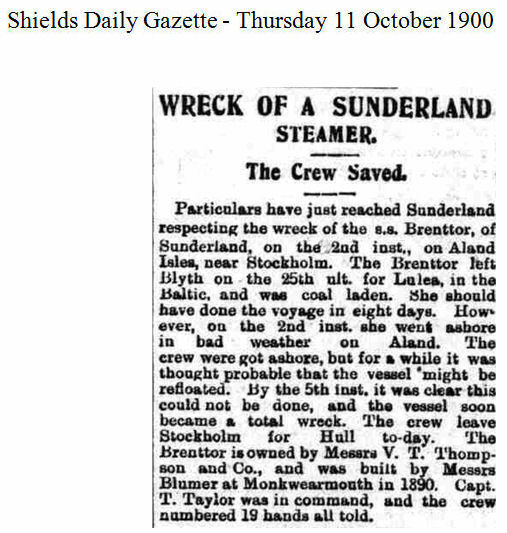 The answer lies in the fact that Tom Purvis, of Sunderland, has provided data about some additional ships built by 'Byers' & my problem is where to put that data, when it relates to vessels NOT yet WWW researched & listed on site. This page is my conclusion of the best way to proceed at this moment. 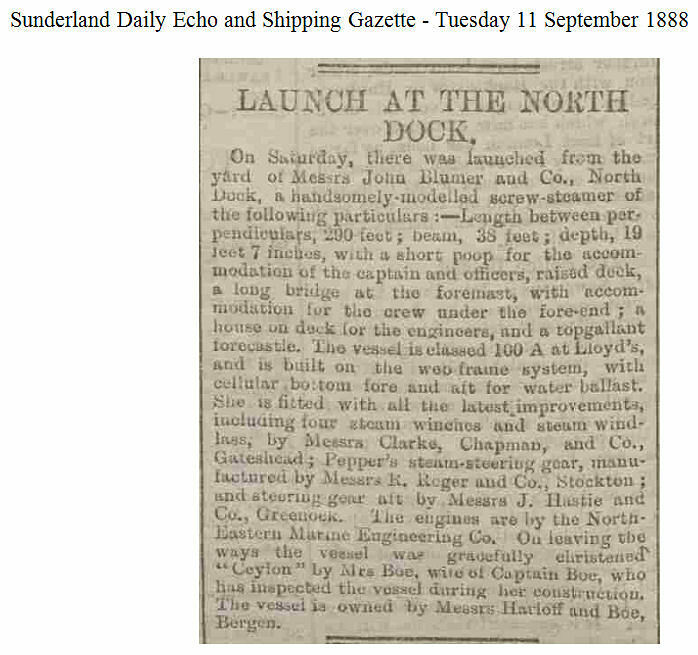 It would seem that the yard was, until a date in 1849, at Folly End, Monkwearmouth, & then a site at North Sands. I include the vessels of which I have even minimal data - probably a small portion of the total. And have since added to or amended the list as more data surfaces. 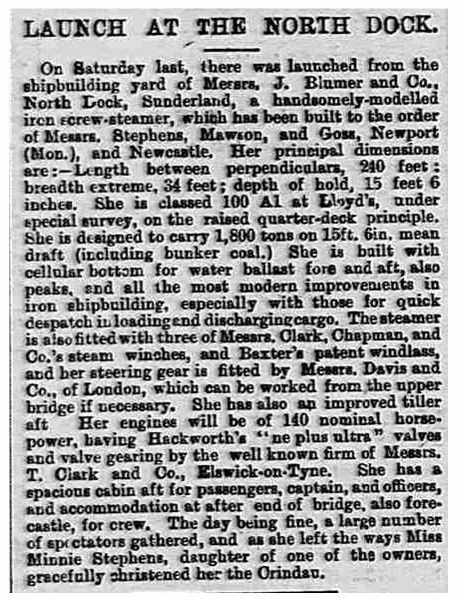 Miramar does not at present list vessels built by 'Byers'. 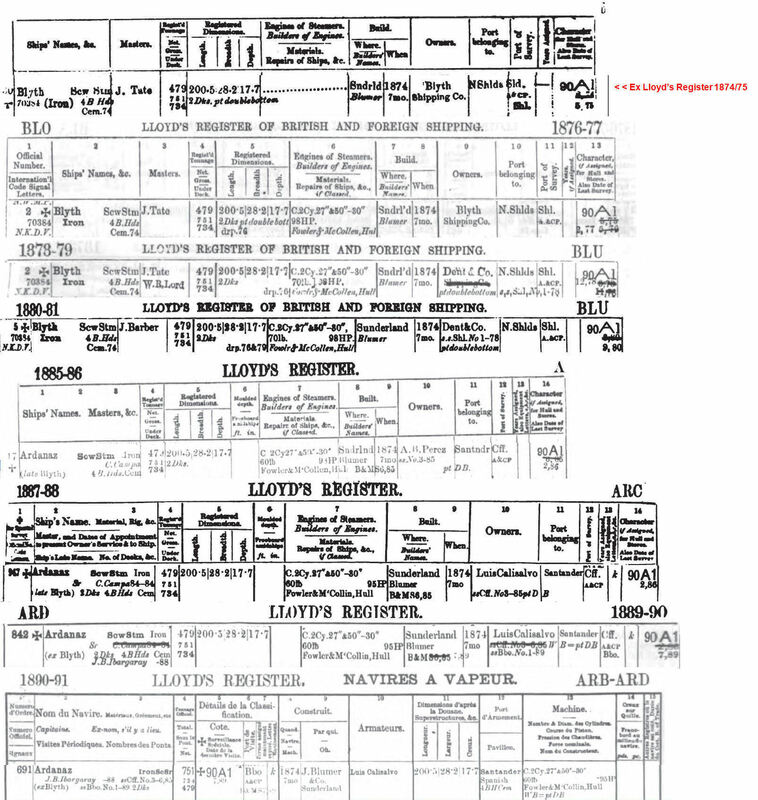 Such data as I have located about Byers & Co. / W. L. Byers & Co. Ltd (anchors) is here. 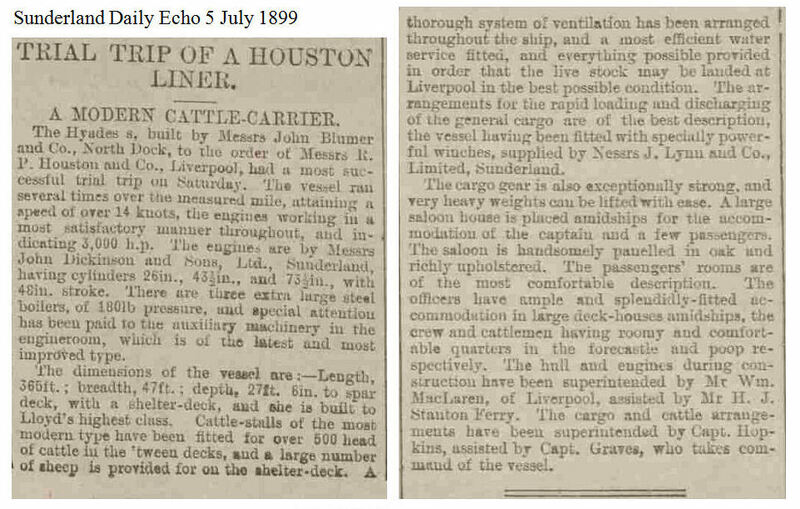 VESSELS BUILT BY JOHN CANDLISH, J. & R. CANDLISH, etc. Just a start on a total list. 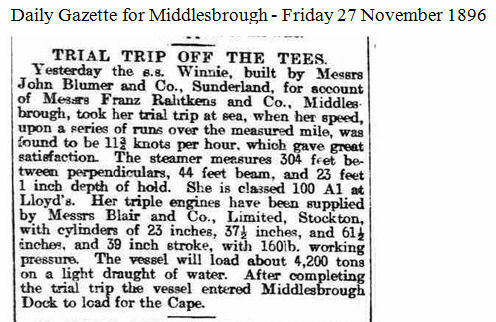 Lots more vessels to be added into the list - 27 vessels, maybe 30 vessels in total, in due course. In alphabetic order within each year. The numbering is the webmaster's. Such data as I have located about John Candlsh & related is here. 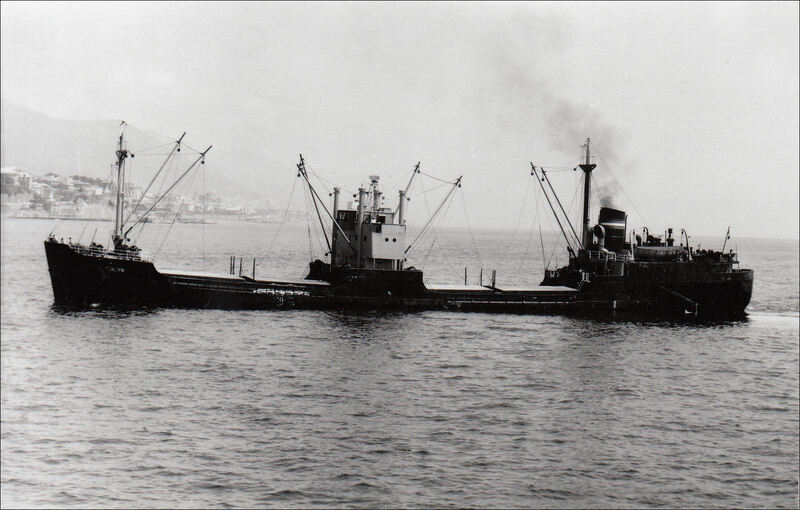 a) Vessels built by John Candlish & related. VESSELS BUILT BY J. 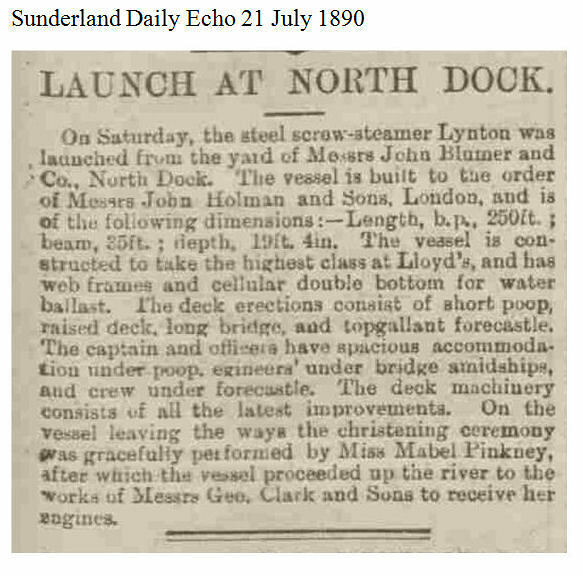 CROWN & SONS, STRAND SLIPWAY COMPANY, etc. Just a start on a total list. Lots more vessels to be added into the list. In alphabetic order within each year. Such data as I have located about J. 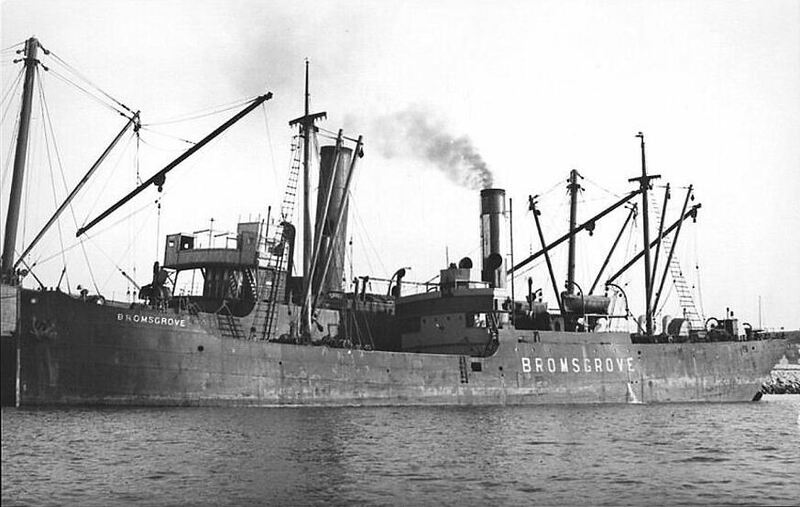 Crown & Sons & Strand Slipway Company is here. 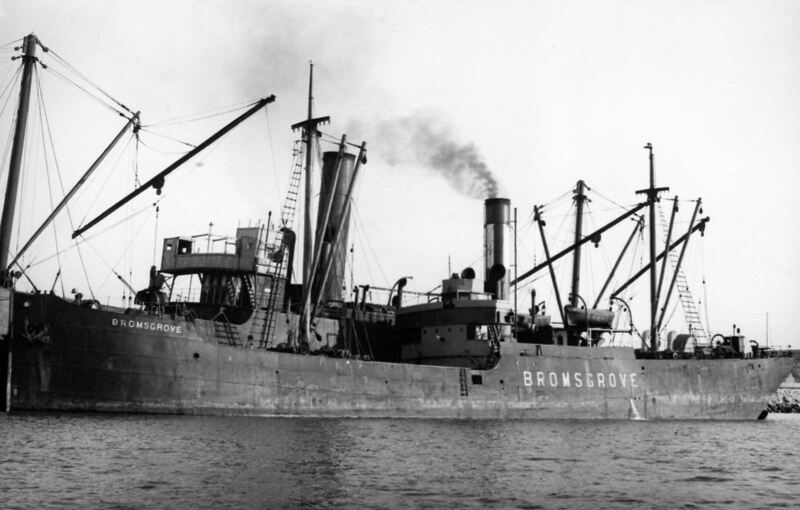 a) Vessels built by Luke Crown. 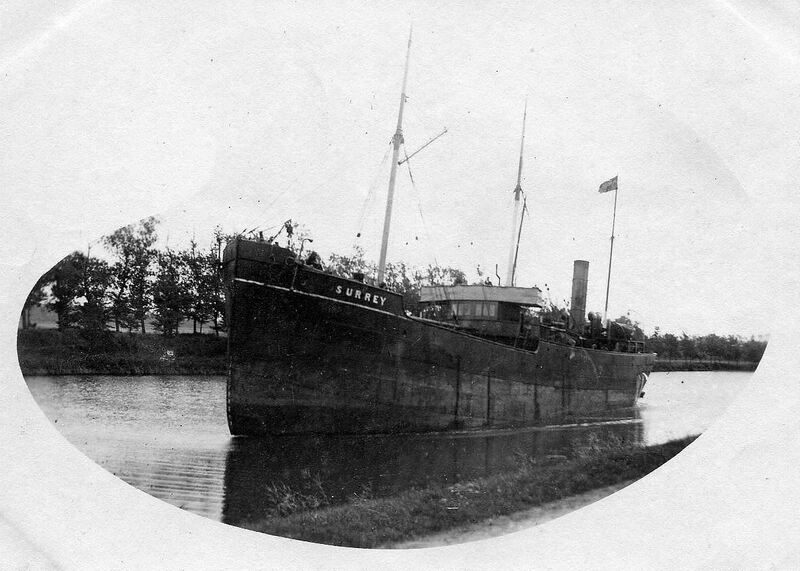 b) Vessels built by William Crown, maybe C. W. Crown. Per Lloyd's Register of 1868/69, Kelso & Co. Were they the initial owner also? 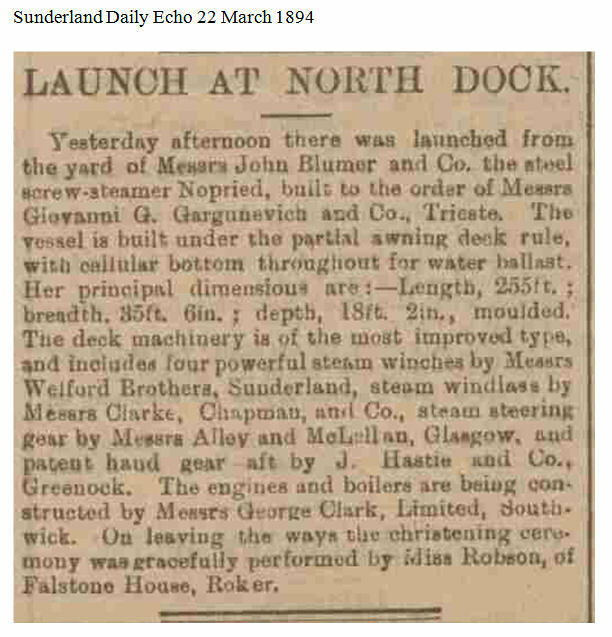 'Nwc.Sh C' - Newcastle Shipping Company? 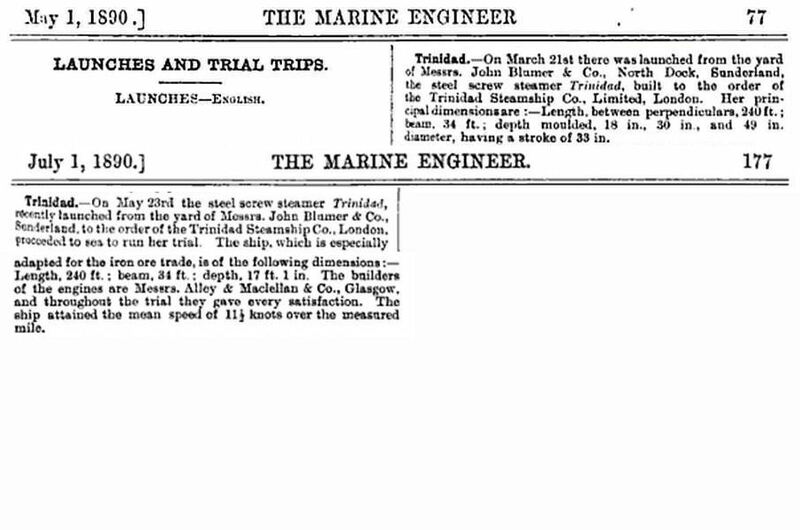 e) Vessels built by Strand Slipway Company. 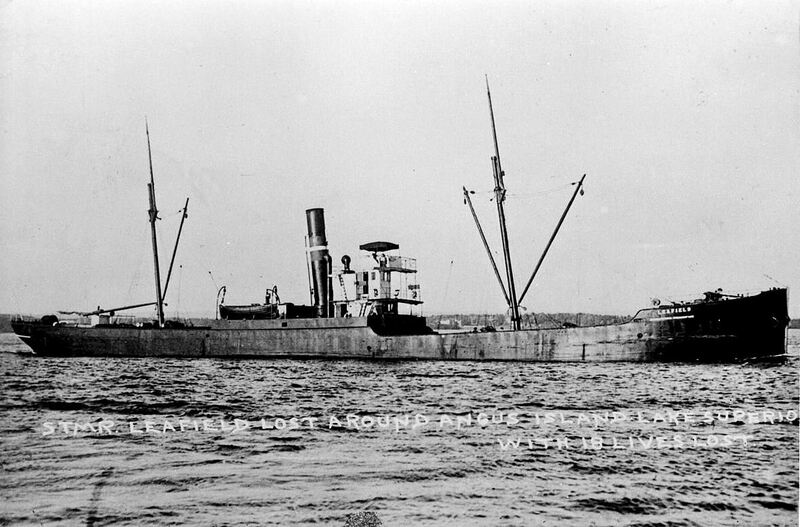 Levant & Eastern Steam Navigation Co. Ltd.
W. H. Cockerline & Co.
J. 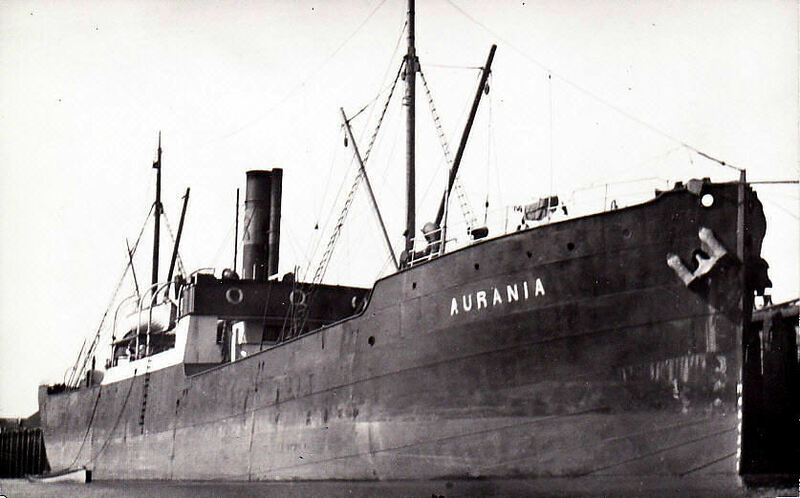 A. Harley & Co.
Angier Steam Shipping Co. Ltd. Ltd.
Amur Steam Ship Co. Ltd.
Fenwick Stobart & Co. Ltd.
f) Vessels built by John Crown & Sons Ltd.
Whinfield SS Co (Cardiff) Ltd. 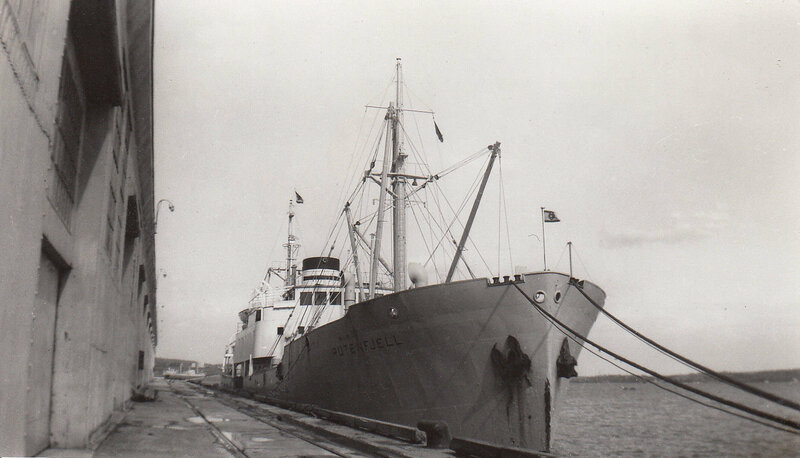 The Porthcawl Steamship Co. Ltd.
Wetherall Steam Shipping Co. Ltd. 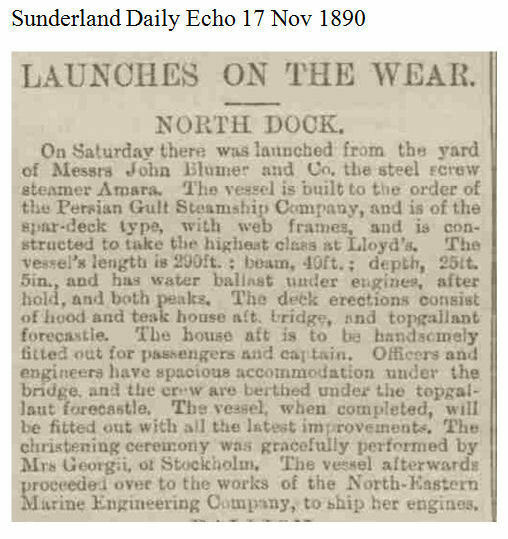 Wear Steam Shipping Co. Ltd.
Thomas Rose or Wear Steam Shipping Co. Ltd. 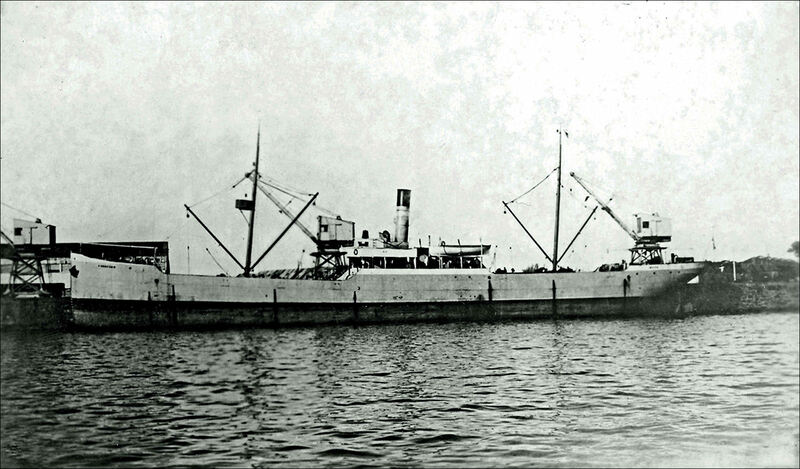 The John George Hill Steam Shipping Co. Ltd.
Adelaide Steam Tug Co. Ltd.
Renwick, Wilton & Co. Ltd. 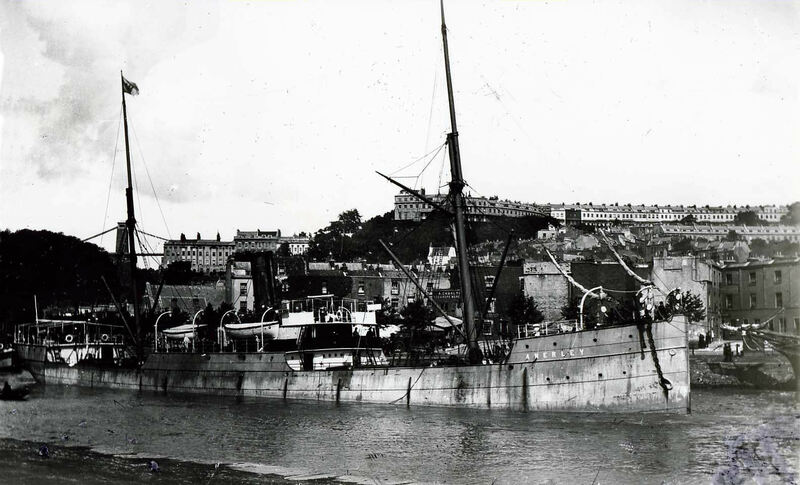 The Hill Steam Shipping Co. Ltd.
Hill Steam Shipping Co. Ltd.
T. & C. Wilton & Co. Ltd. 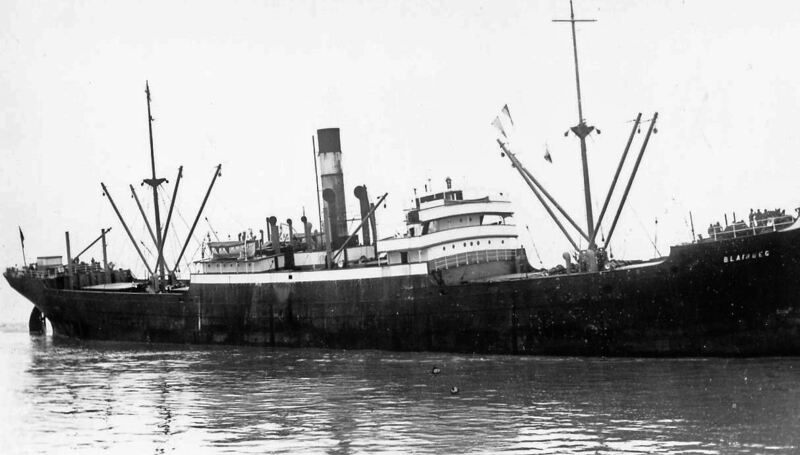 Shell Company of New Zealand Ltd. 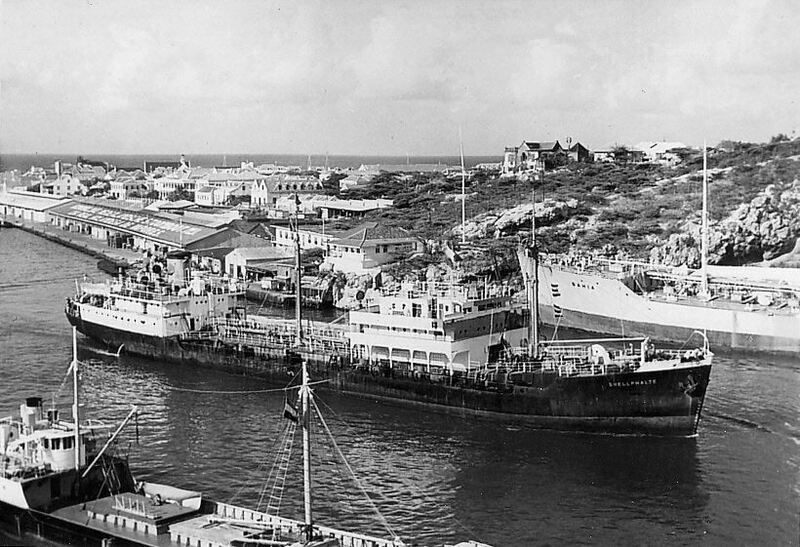 The 'Crown' yard was acquired by Joseph L. Thompson & Sons Ltd. in 1946. 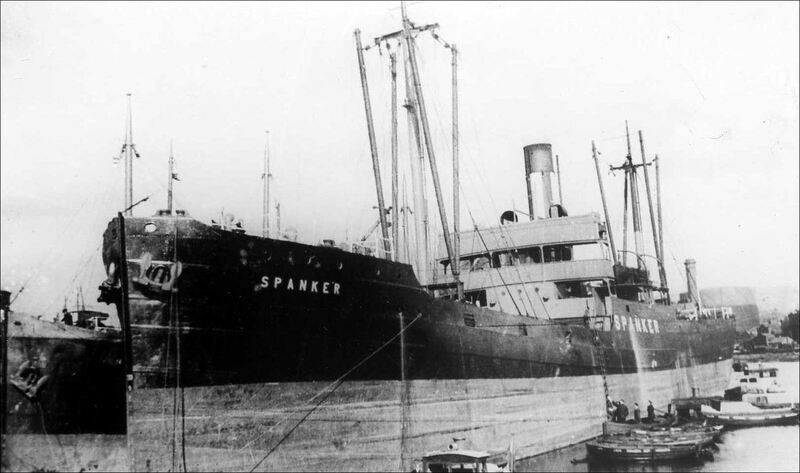 But the yard was for about 10 years thereafter run as an independent shipyard. 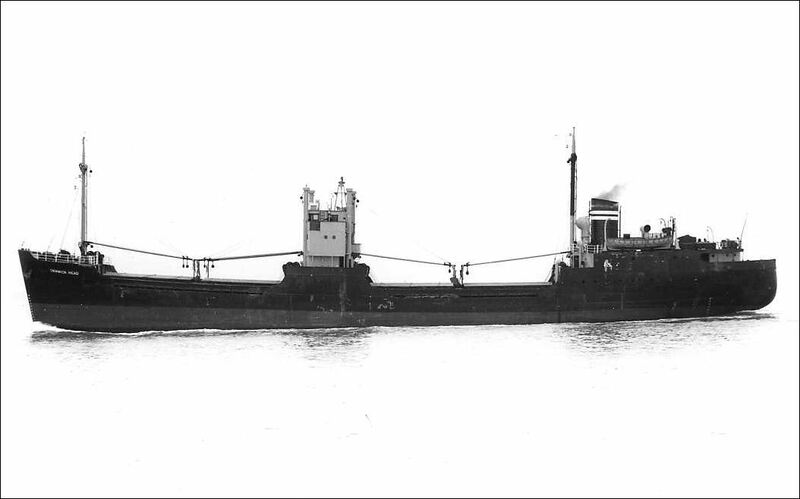 Only in 1956 were vessels constructed at the yard considered to be 'Joseph L. Thompson' vessels. 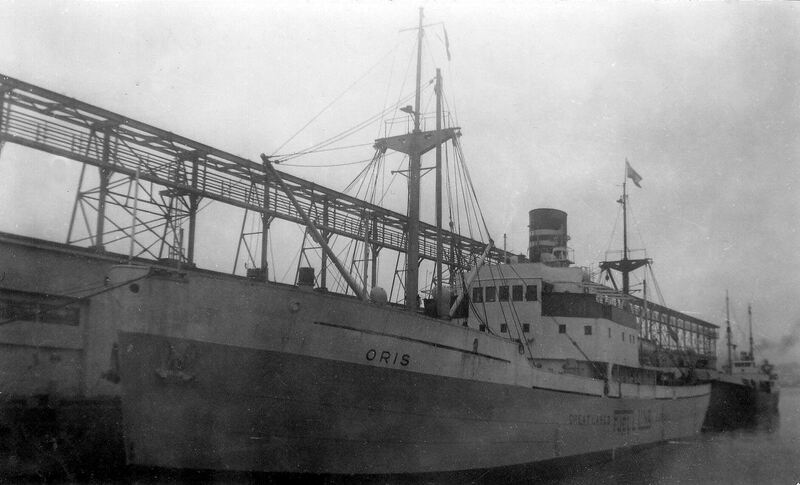 So .... vessels built thru 1956 are listed above as 'Crown' vessels. 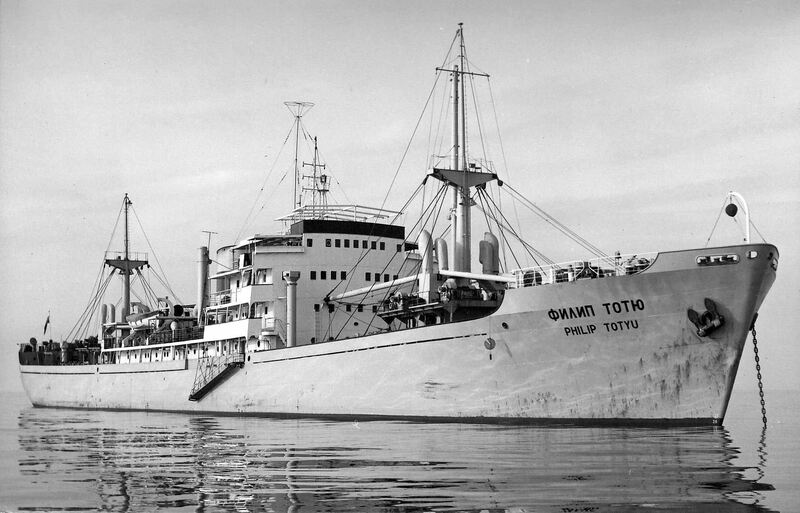 While vessels built in 1956 & later, vessels that are considered to be 'Joseph L. Thompson' vessels, are listed as 'Thompson' ships here.